The first inception of the labor movement in the United States looked little like today’s organizations. The National Labor Union and the Knights of Labor did not seek to engage in contractual relationships with employers (Chaison, 2006; Leikin, 2005). During this era, the nature of work and the worker was in a great transition, but the itinerant worker was often in the format of the old guild system of apprentice or master. People who worked for others generally were doing so on a specific job or contract basis or they engaged as an apprentice to learn the trade (Chaison, 2006). Employees were a special lot: often seen as lacking the will and moral basis to work for themselves or suffering from a disability and unable to engage control over their own life (Jacques, 1996). It is the role of the Knights of Labor and other similar unions that provides a touchstone for this study. These workers came together to create a work place with better wages and dignity by competing with their former bosses. Rather than fight with the owners of capital for a share of the profits produced with their labor, they organized their own company where they controlled the means of production (Fink, 1985; Hogler, 2004). The response of the capitalists was mixed. Some larger organizations support the Knight’s work and even joined the Knight of Labor in order to be engaged with these workers. Others, however, conspired to undermine these workers owned factories by working with the owners of the railroads and stores to deny space on the trains and shelves. Although the Knights of Labor did not believe in an adversarial relationship with the owners of the factories, often opposing strikes and similar actions (Blasi, Freeman, & Kruse, 2013), they did see “an inevitable and irresistible conflict between the wage system of labor and the republican system of government” (Fink, 1985p 4). When possible, they pushed for higher wages, but generally they saw the path forward through worker ownership of the new factories. As the push for concentration of industry changed the nature of work from itinerant worker to employee, the Knights saw ownership as the key to achieving the promise of America and Republican ideals (Fink, 1985; Leikin, 2005). However, the economic forces were arrayed against them and internally, they were unable to take the necessary steps to support each other’s operations either with capital or managerial expertise. Blasi, J. R., Freeman, R. B., & Kruse, D. L. (2013). The Citizen’s Share: Putting Ownership Back Into Democracy. New Haven & London: Yale University Press. Chaison, G. (2006). Unions in America. Thousand Oaks, London, New Delhi: SAGE Publications. Fink, L. (1985). Workingmen’s Democracy: The Knights of Labor and American Politics. Urbana and Chicago: University of Illinois Press. Hogler, R. (2004). Employment Relations in the United States. Thousand Oaks, London, New Delhi: SAGE Publications. Note: the post in this series resulted from work towards a larger research project that has since been abandoned. I will be turning two of those chapters into posts that will run on Tuesdays for the next several weeks under the category “American Dream”. It is, in essence, an unfinished work, so keep that in mind as you are reading. I hope to read your comments! From the earliest days of the Republic the rights of workers within the work place has been a subject of debate between the Federalist and Jeffersonian wings of the national discourse when efforts to rebuild New England’s shipping and fishing industry after the revolution included consideration for the sailors along with the shipbuilders (Blasi, Freeman, & Kruse, 2013; Nelles, 1932). The debate between the relative rights of capital and labor in a Republic has continued with periodic shifts from one side to the other. The last major shift notably occurred in 1981. US President Ronald Reagan responded to a strike by PATCO, a labour union that represented the nation’s air traffic controllers. Reagan’s response ushered in a new era of labor relations in the United States that ended the “great compromise” between labor and owners that had existed for the previous thirty years (Storch, 2013) . His actions in replacing the strikers were legal under the National Labor Relations Act (as amended by the Taft-Hartley Act); however, it had been a rarely used option. Reagan’s actions were a signal to the nation’s corporation that they would have greater reign to undermine labor unions (Hogler, 2004). Following this action was the liberalization of capital under agreements such as the North American Free Trade Agreement and the World Trade Organization that allowed capital to move operations across national borders rather than negotiate with local workers (Chaison, 2006; Hartmann, 2011; Storch, 2013). This created a downward spiral in the United States labour movement resulting in diminished membership and power regardless of the political party in control (see figures 1-3). The “Wagner model” of collective bargaining ushered into law during the Great Depression and America’s “New Deal” represented an industrial environment with large factories employing thousands of workers at a single facility such as Western Electric’s Hawthorne plant, or the “Big Three” automotive plants in the Detroit metropolitan area (Hogler, 2004). By the end of the 1990’s these large factories had become part of America’s industrial history having been replaced by smaller assembly plants, robotics, and computerized operations along with a move of the more labor intensive work to oversees locations that could quickly move based on the value of local labor. As Naomi Klein (2000) documents in No Logo, many US corporations quit manufacturing goods such as shoes and clothing (in the example of Nike and Levi Strauss and Co.) and switched to marketing their brand with all operations sub-contracted to corporations in the developing world where labor costs could be reduced to almost nothing. The vacuum in the labor movement created by the retreat of organized labor created an opportunity for a different form of labor organization in the form of worker co-operatives. Worker Co-operatives are corporations in which the people who provide labor also own the company. These organizations can be quite small (a three person bike shop) or quite large (a three thousand member home-care co-operative). The defining characteristics that these organizations engage in revolve around the co-operative identity of “one member one vote” (“Statement on the Co-operative Identity,” 1995). Workers generally create a corporation with a board of directors that acts on the mutual interests of the workers as owners and employees. The publishing of Adam Smith’s Wealth of Nations in 1776 generally marks the beginning of the era of the capitalist economy. The shift in production from cottage industries and the guild system that represented the urban economy of the feudalist period to the centralized production and horizontal organization of the new “for profit” corporations brought with it a fundamental change in the social contract connected to the exchange of wealth. With this change came a new concept of competition and the value of work. For many, the new world order ushered into being in the late 1700’s was a catastrophe. As the nature of workers transitioned from independent operator to employee, the workers lost their ability to control their lives economically and, quite often, politically. The push back brought the rise of both the Trade Union Movement and the Co-operative Movement, both originating at the central of the new disruptive capitalism: Manchester, United Kingdom (Birchall, 1994; Fairbairn, 1994). This was not an accident. The two movements have been linked for good reason in that they attempt to embrace a market economy in a method that elevates individuals and replaces the profit motive with the concept of human dignity. These attributes have been the core of both movements since their founding. The industrial revolution in the United Kingdom occurred several decades prior to a similar revolution in North America. That revolution began intellectual movements that would have an echo in the United States as it industrialized and transitioned from an agrarian economy providing raw materials to the manufacturers of Britain into a nation of industrialists and producers. This new world order became, in many ways, a hot war between the industrialists of the north and the Agrarian of the south (who depended upon slave labor), but it also created a discussion about the nature of work in the United States (Jacques, 1996). For many, the Civil War of the United States replaced chattel slavery with wage slavery. It began the industrialization of the workplace that transformed the independent worker into an employee. While in the UK, those engaging in unionism (and to some extent co-operation) were deemed anti-establishment; the environment in the United States was more open. Unionist in the UK could expect deportation to Australia and banishment (Birchall, 1994; Thompson, 1994), while workers in the United States found inspiration and support through the constitution (Perlman, 1970). Commonwealth vs. Hunt (1842) provided critical legal protection to labor union activity in that it did not presume the collective actions of workers to be a conspiracy (Chaison, 2006). This allowed workers to organize to seek higher wages and better working conditions provided that they did not violate other laws in their pursuit. The ruling was a victory for Jeffersonian ideals in that it allowed workingmen to balance the power of the new capitalists although it did not go so far as to keep government out of the fray (Nelles, 1932). Of course, 1776 also marks the beginning of the democratic era with the adoption of the Declaration of Independence by the American colonies, which will be explored more thoroughly in Chapter 4. Adam Smith’s early writing such as the Theory of Moral Sentiments clearly influenced American thinkers such as Thomas Jefferson (Ganter, 1936). Birchall, J. (1994). Co-op: The People’s Business. Manchester: Manchestur University Press. Fairbairn, B. (1994). The Meaning of Rochdale: The Rochdale Pioneers and the Co-operative Principles. Occassional Paper Series, (94-02). Centre for the Study of Co-operatives, Saskatoon, SK. Ganter, H. L. (1936). Jefferson’s “Pursuit of Happiness” and Some Forgotten Men. The Willam and Mary Quarterly, 16(4), 27. 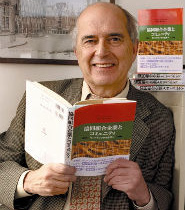 Hartmann, T. (2011). Rebooting the American Dream: 11 Ways to Rebuild our Economy. San Francisco: Berrett-Koehler. Klein, N. (2000). No Logo: Taking Aim at the Brand Bullies (Canadian ed.). Toronto: Vintage Random House. Perlman, S. (1970). A Theory of the Labor Movement. New York: Augustus M. Kelley. Storch, R. (2013). Working Hard for the American Dream: Workers and Their Unions: World War I to the Present. Oxford: Wiley-Blackwell. Thompson, D. (1994). Weavers of dreams : the origins of the modern co-operative movement. Davis CA: Center for Cooperatives University of California %@ 9781885641052 %7 150th anniversary ed. The domain now matches the site name! Yay! I also finally managed to figure out how to fix the media library. I’m back! I have updated the links, pictures, and will be populating the other pages as I get around to it. Hopefully people will find their way back to this site and find it a useful resource again! I’ve been working with a group of caregivers and community members in Olympia for almost four years now. Through a number of starts and stops, they have been working towards creating a home care cooperative in Olympia, Washington. The co-op incorporated in August, 2016 and recently received their license to provide home care in Thurston county. In returning to this blog, I am also returning to a long-abandoned project. A couple of years ago, I began discussing the inspirational messages from Don José María Arizmendiarrieta, the spiritual founder of Mondragón and, in many ways, the modern worker co-operative movement. His messages, published as Pensamientos by Cherie Herrera, Cristina Herrera, David Herrera, Teresita Lorenzo, and Virgil Lorenzo. You can read them at the web site celebrating Arizmendiarrieta’s Centennial. Often these days, the term snowflake gets bandied about quite a bit, often pejoratively (and its history as an insult is rather amazing and frightening). I first started hearing it in 2012 referring to worker co-operatives. The idea of a “snowflake” in the co-op world being that worker co-ops act as if they are these unique organizations in terms of their experience–so unique that the ability to learn from others is limited. I’ll certainly admit to being guilty of this sentiment earlier in my co-op career. It isn’t just a feeling of superiority, but also one of isolation. As the worker co-op network in the US has developed over the last 10-15 years, that sense of isolation has largely disappeared. The network of co-op development centers, the US Federation, and local networks has created a strong community of cooperators that welcomes people into the movement with warm support. The danger, one which I see abating, has been to dismiss the individuality of worker co-ops in favor of creating easy to manage development practices. I have often worried that creating institutionalized responses may negate the individuals involved in the process. Each co-op that I have worked with has similarities and differences. They link around the co-op identity, effectively the moral values that Arizmendiarrieta refers to, but each co-op, no matter the isomorphic forces at play and cultural similarities engaged by the industry create the co-op’s own culture based on the individuals who created it and who engage with it. The humanity of our co-ops makes them unique, frustrating, and loveable. The power of snowflakes united in strategy can be truly sublime–no less in the union of human passion, knowledge, and individuality put to a common purpose. It is the heart of the cooperative’s power. This morning the Canadian Association for Studies in Co-operation sent out a notice (below). For those of us in the Master’s program at St. Mary’s we knew his work From Mondragon to America: Experiments in Community Economic Development (1997), which provided a major update to the Whyte’s Making Mondragon and Morrison’s We Build the Road as We Travel. He was one of the first to bridge the Atlantic and discuss how that Basque experiment could be brought to these shores. The Canadian Association for Studies in Co-operation/L’Association Canadienne pour les Études sur la Coopération (CASC/ ACÉC) mourns the May 3, 2017, loss of a great co-operator, friend, priest, academic, and activist, Dr. Greg MacLeod, who leaves a remarkable legacy of innovative institutions and actions based on both Christian social teachings and principled entrepreneurial thinking within and beyond his beloved Cape Breton. Ordained a Catholic priest in 1961, Greg MacLeod was a founding member of the Department of Philosophy and Religious Studies, Xavier College, where he started teaching in 1963. After completing doctoral studies in philosophy at the University of Louvain in Belgium, he went to Oxford University for post-doctoral studies before returning to teach at Xavier College in 1969. He was among leaders who worked hard to transform Xavier Junior College into the University College of Cape Breton (now Cape Breton University [CBU]) and to promote Mi’kmaq studies there. He retired from the university in 2001, although his remarkable work ethic and commitment to action remained unabated even in his final days. As recently as April 2017 he added TriCouncil funding to the $1 million he had already earned. When Cape Breton faced an uncertain future with declining fish stocks and the closure of coal mines in the 1960s, Father Greg mobilized resources in the university and in the community and galvanized people to build capacity and ensure economic resilience and sustainable livelihoods for community members. Founder and former director of the Tompkins Institute for Human Values and Technology at CBU, a leading authority on community economic development, member of the Order of Canada, and recipient of honorary degrees from Dalhousie University, The Atlantic School of Theology, and Saint Francis Xavier University, Greg MacLeod was a long-time friend and supporter of CASC/ACÉC. He was winner of the 2011 CASC Award of Merit—a surprise for Greg who had just presented his keynote address on how throughout his career he had managed contradictions and divisions concerning social economic reform: “Theory versus Practice”; “Idealism versus Pragmatism”; “Profit making business versus non-profit business,” and so on. He wanted both to change the world and make a difference at the local level; he was an academic who would become an activist for the benefit of the community, putting theory into practice. In support of his community work, Dr. MacLeod founded BCA Community Venture Finance Group, a CED investment fund that raised over $2 million in community investment, and New Dawn Enterprises, Canada’s oldest community economic development corporation and founding member of the Canadian CED Network. In 1983, he founded New Deal in Sydney Mines, Greg’s hometown where some of his family still lives, “to come up with new approaches,” as he put it, “suited to community survival in the future by designing new ways of doing business.” New Deal is involved with many projects including the development of several housing co-ops. Committed to local ownership and control, he was a champion of place-based development. Greg’s publications include From Mondragon to America: Experiments in Community Economic Development (1998) about the worker-owned industrial co-operative based in Spain, and New Age Business: Community Corporations that Work (1986). Influential in Mexico and around the world, his work has been translated into Spanish, Japanese, and Korean. Today, the legacy of Dr. Greg MacLeod is clear not only in the institutions he founded but in the CBU’s Master of Business Administration program based on his research on community economic development as well as in the ongoing commitment of CBU faculty engaged in “community-oriented research” with the Tomkins Institute, a laboratory and incubator for alternative models of the social economy. Greg MacLeod, his energy, ethic, and vision, will be sorely missed. It can be difficult to figure out a coherent strategy with which to negotiate the next 1,237 days (or more). We almost need an individualized strategic plan to manage all of the areas of resistance to understand when it is vital to be on the streets or in the workplace or with friends and family. Worker Co-operatives have a key role to play during this era, but it will only be meaningful if they embrace their identity as worker-owned and operated enterprises. False co-ops, those who use the co-op label more for marketing while ignoring the principles, really aren’t needed. They do damage to the rest of us. I am talking about employer co-ops masquerading as worker co-ops or solidarity co-ops. Some of these, like cab “co-ops” that have only 3–4 owners and hundreds of workers. They use the co-op model to escape double-taxation and should really be Limited Liability Corporations. They don’t engage in the principles or values of co-operation. The rest, the worker co-ops who strive every day to live their principles and values, to engrain the co-op ethics into the operations, to demonstrate the resiliency and power of worker control need to step up and do more. This is not the time to be insular and withdraw behind the doors of your meeting room. The nation needs to learn about worker co-ops, and more importantly, worker co-ops need to expand and build the movement. Mondragon provides lessons for how to develop and succeed in a hostile political climate. I want to talk about two, that I see as key to navigating the new normal of the political landscape in the U.S. The first lesson: control our capital and keep it inside the movement. Worker co-ops need to create full service banks owned by worker co-ops to support and develop worker co-ops. While credit unions have a role, they can be hampered by antagonistic legislation that favors banks. Let’s use that legislation to support co-ops. The second lesson of Mondragon: expand the movement by investing in new co-ops and incubating them if necessary. Mondragon recognized early on that more worker co-ops would make their lives easier. With enough worker co-ops, the supply lines and financial support could keep the money in the co-operative sector and economies of scale could be reached in ways that kept the democracy alive in the workplace. When a co-op needs something that it doesn’t produce, and can’t find an affordable source aligned with its mission, it should create a new co-op to meet its need. This engages the intellectual capital and capacity of its membership. Larger co-ops may have people working for them because it is a co-op, not because they want to drive a taxi, provide home care, or engage in bike delivery. These members provide a great expansion opportunity for the co-op and the movement. This might be a state by state, city by city effort with each community finding its own path. Some cities, such as New York, Cleveland, and Madison, are able to use taxpayer dollars to support and build a co-operative solution to meet city needs. Others cannot and need to find other methods. In either case, it is important for existing co-ops to step up and help create strong co-operative economic ecosystems. Creating nodes of economic democratic organizations throughout the U.S. over the next four years might not be the showiest or strongest form of resistance, but it will build stronger communities that will allow more people to engage in other forms of resistance since they will have free themselves of wage slavery. It is a passive revolution of a sort, although it can easily succumb to the hegemony of the dominant capital model if the values and principles fall to the wayside of our work. If we could quadruple the worker co-ops in terms of number and employees over the next four years and develop them into real economic democracies through strong governance strategies that overcome gatekeepers and philanthropic saviors, we would create not just an answer to Trumpism, but also to neoliberalism. As we train our members to engage within our co-ops, we are also training them to engage within their communities. This will create leadership on neighborhood councils, city committees, county committees and even State boards and commissions. We can create a new form of community leadership to fill the current vacuum that only sees a dichotomy between the conservative and liberal factions of Wall Street. Some co-ops, of course, are already doing this and their efforts have paid off substantially (see New York City and Madison), but we need to make this a bigger and broader movement that reaches beyond traditional liberal strongholds and into cities throughout the country. By focusing on the values of co-operation and putting the practice of solidarity and cooperation among cooperatives into practice, we can build an incredible future that delivers on the American Dream. This massive increase in the flow of migrants and refugees is bound to increase over the next few years, both because the present reasons for such an increase have not been solved and because new phenomena are beginning to impact on migration, such as climate change. Europe in particular is facing the gravest migration and humanitarian crisis since World War II, bringing into light its own paradoxes and inabilities to apply its constituent values such as solidarity, respect for human dignity and liberty. It should be pointed out that, when they are able to survive during their exodus, migrants often face difficulties in accessing employment opportunities and basic social and health services. Furthermore, migrants are among the most exposed to working in low-paid precarious jobs and potentially exploitive conditions in the informal economy. CICOPA is fully aware of the complex reality which migrants are facings around the world and that it is, at times, a difficult or perilous path. As an organization active globally, CICOPA strives to change this paradigm through the development and growth of industrial and service cooperatives, in compliance with the first cooperative principle according to which “cooperatives are voluntary organisations, open to all persons able to use their services and willing to accept the responsibilities of membership, without gender, social, racial, political or religious discrimination”. Industrial and service cooperatives contribute to a decent and dignified life and to the social and economic integration of refugees and migrants in various parts of the world. 5 They are also used as a tool by migrants and refugees themselves for developing entrepreneurship initiatives together with other members from the community, thus increasing autonomy, solidarity and human development while at the same time contributing to a sustainable economy both globally and locally. Industrial and service cooperatives are the natural allies of international organizations, regional organizations and national governments in carrying out inclusive policies that provide basic services and socioeconomic inclusion for migrants and refugees. Cooperative entrepreneurship is a valuable tool to maximize the developmental benefits represented by migrants and refugees for welcoming countries, in terms of human resources, competences and skills. Through this Declaration, CICOPA wants to express its commitment to fight for an equal access to services and work opportunities provided by cooperatives, allowing for a decent life and increased opportunities for the entrepreneurial projects to be initiated by workers and producers in the migrant and refugee communities around the world. Cooperatives are based on the principle of equality, whereby all human beings are equal in rights and remain at the heart of all policy concerns. This is why cooperatives in industry and services commit themselves to fight against discrimination, stigmatization and exclusion which refugees and migrants are facing all around the globe. After almost 14 years of struggle, the Argentine Senate passed a bill for the expropriation of the Hotel BAUEN in favor of the worker cooperative on November 30th, 2016. The existence of such law has consolidated workers’ self-management and has brought historical justice to this cause, given that former owners of the hotel built it using public credit facilitated by the genocidal de facto military government (1976-1983); this credit was never repaid. Beyond historical rectification, the expropriation bill recognized the Hotel BAUEN’s social purposes, including myriad solidarity-based initiatives, and cultural activities that regularly take place in this worker-managed hotel, making the BAUEN an emblem of workers’ self-management in Argentina and in the world. But Argentine President Mauricio Macri has subsequently vetoed the expropriation bill based on fallacious arguments that deny the social purposes of the cooperative, that reject the recovery of the public funds, and that will leave 130 workers unemployed and unable to provide for their families. We urge the members of the Argentine Chamber of Deputies and the Argentine Senate to reject the presidential veto and to confirm the law that expropriates the Hotel BAUEN on behalf of its workers in order to repair this injustice, avoid the eviction of workers from the hotel, and strengthen our democracy. Hotel BAUEN constitutes one of the most emblematic worker-recuperated businesses in Argentina. Closed by its owners as part of a fraudulent scheme that left its workers out on the street by the end of the 2001, the 20-story building located in downtown Buenos Aires was asset stripped and abandoned by its owners for more than a year before a group of former workers occupied the space on March 21st, 2003. Thus began a process of 13 years of workers’ self-management that has created 130 jobs and witnessed the Hotel BAUEN’s workers make major investments in repairing and renovating the hotel’s infrastructure, all with very little external financing. Hotel BAUEN, which was once a symbol of corrupt power in Argentina, has now, under workers’ self-management, become a meeting place for social movements, unions, and workers’ organizations. Over the past decade, the hotel has hosted hundreds of organizing conferences and debates, as well as academic and cultural events. Hotel BAUEN is not just an emblem of self-management. Its origins also constitute a symbol for the collective memory of the collusion and corruption between economic power and the genocidal dictatorship that ruled and bloodied Argentina between 1976 and 1983. Hotel BAUEN was originally constructed in preparation for the World Cup of soccer hosted in Argentina in 1978 and financed with loans from the national bank (BANADE) that were never repaid. Thus there still exists an outstanding public debt. The expropriation bill permits the Argentine State to regain the ownership of the building and subsequently have it transferred to the workers’ cooperative, which has, after all, recuperated it for the working class and Argentine society. The subsequent presidential veto, however, has impeded this historical reparation promised by the expropriation of the Hotel BAUEN, and has, instead, consecrated the impunity of the accomplices of the military dictatorship and punished the workers who have devoted their effort, their work, and their resources to the recuperation of this hotel. The signatures in the petition represent those who stand in solidarity with the workers of Hotel BAUEN. They represent a call for the Members of Congress of the Argentine Republic to confirm the expropriation bill they passed, allowing the continuation of workers’ self-management, which is exemplary to the world. The need for mutual self-help and self-reliance along with solidarity will be at the forefront for many of our cooperatives and we, whether as members, educators, or developers, must rise to meet the challenges presented. The pendulum of human history has shifted once more from the individualistic to the communal. This can, of course, be a good thing. People working together for the common good has helped move our civilizations from the dictates of a single ruler to more democratic and inclusive governments (even if it doesn’t always feel that progress continues). Today, we are about the same spot as 1936, 1856, and 1776. Those time periods all involved a period in which people coalesced around a common “we” (1842-1882, 1922-1962, and 1752-1792 respectively). What does this mean to the development of worker cooperatives and the labor movement at a whole. The common “We” works in sometimes contradictory ways. The groups of the 1930’s brought about strong unionism among the working class even as others used perceived racial purity as the defining virtue. Likewise, the power of “we” fueled both the democratically inclined Revolutionary War and the rise of the Abolition Movement but the genocidal war against First Nations peoples also dominated the nation. According to Williams, the moment of the switch between the Me Generation and the We Generation occurred around 2002-ish and the Year of Hope with the election of Barack Obama mirroring the Me Generation’s Summer of Love. It is worth reading the book (it isn’t a heavy scholarly read at all) to get the sense of it. The question for us, as worker cooperators, is how do we enter this rather polarized world of “we”. In some respects, it provides some advantages as people seem more likely to see solidarity and common purpose as positive traits. The values and principles of cooperation should resonate and help the Decade of the Co-op shine. However, there is also danger in the neo-tribalism of the “we” that separates people by false categories (race, skin color, religion, gender, sexual orientation). Further, cooperatives (and especially worker cooperatives) have a tendency to overly focus on internal issues and ignore the larger movement. Even with the relative growth and rise of the US Federation, co-ops don’t always stay engaged in their community and the larger co-op movement. As much as I respect the work of the Federation and its offshoot, DAWI, we can’t simply subcontract the sixth and seventh principles of cooperation to apex organizations. They have important roles to play at the national and international level providing information, support, and connectivity, but can’t really provide a one-size fits all game plan for every community. We are special snowflakes despite our commonalities. It will be important for those organizations to engage at the national level, but co-ops (especially worker co-ops) cannot engage in isolationism. They need to create local partnerships with the local labor organizations (even if it is only an expression of solidarity and event invitation), local political leaders, and other cooperatives. They need to also encourage the regional and national coop groups to stand with labor and identify worker cooperatives as something more than simply an economic model akin to ESOPs. Now is the time for us to embrace our movement and make it move (as Jim Hightower might say). We need to tell our collective stories and educate people about real worker ownership (that involves more than owning shares) and how through worker ownership and worker control, the American Dream can be resurrected and expanded to include all of us.